NEW HOLESTEIN, Wis. — A holiday display in New Holstein, Wisconsin is getting a lot of attention after a call to the police earlier this week. 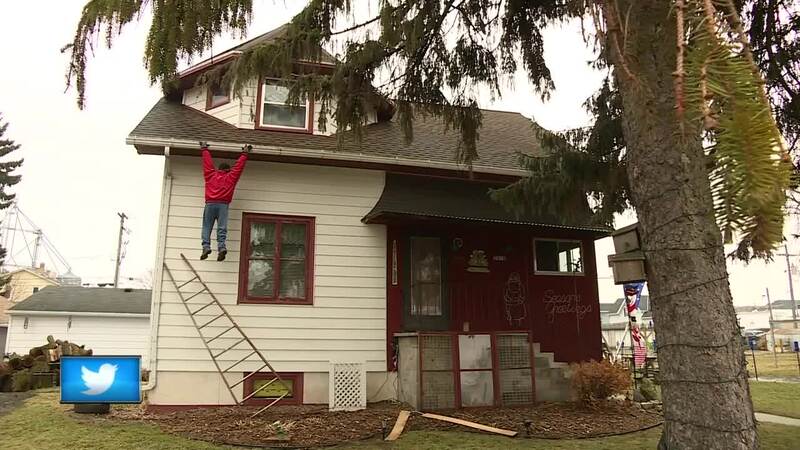 It’s a scene straight out of "National Lampoon’s Christmas Vacation," with Clark Griswold dangling from the roof. This display, from a movie, merged close enough to reality that someone called for help. Officers arrived on scene, but instead of finding a person, they found the display. Both authorities and neighbors are taking this incident with plenty of humor.